Web hosting or simply hosting is a type of Internet related business where big companies are managing thousands of computer for running the website and web portals. In this tutorial we will provide you complete guide on web hosting and show you how you can use the web hosting services to host your website and web portals. This guide will also provide expert guidance for finding best web hosting company for hosting your website. After reading these articles you will be able to create your website, find hosting company, purchasing hosting space and finally uploading your website on the internet. We will also explain you how to maintain your web hosting server. You can solve small web hosting issues your self. For complex problem you can talk to your hosting provider to resolve the server issue. Web Hosting services allows the individuals and business to create and publish web pages on Internet, so that it is accessible all over the world. Web hosting makes the website accessible via World Wide Web. All the internet users can access the web site pages hosted on a web hosting server. Web hosting companies are maintain many computers and server in data centers. In most of the case web hosting companies are renting their servers for hosting websites. But in some cases hosting companies are also providing server space for placing the client server. This type of hosting where clients are placing their server in data center's are called co-location hosting. But in most cases clients prefers to rent the servers from web hosting company. We hosting company insures the data center security, power backup and internet uplink. These days web hosting business is a big business and companies are earning lot of money. Web hosting companies are employing data center and server experts to provide 24x7 support to their clients. While choosing hosting company check the technical support hours, its very important that a hosting company you are choosing is providing 24x7 technical support. 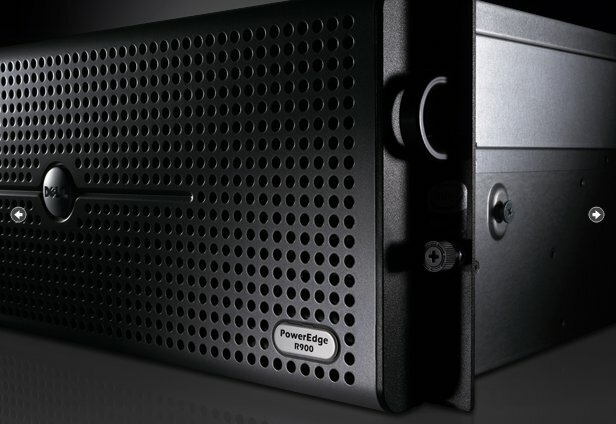 Dell PowerEdge server used for hosting heavy load applications. Web hosting companies provides following main services. Server provisioning: Hosting companies installs and configures the server for hosting the websites. Network Management: Hosting companies manages the required network for running high traffic websites. Server Management: Manages the server for 24x7x365 uptime. Power Backup & Generators: Insure the uninterrupted power supply to the data center. Most of the web hosting companies are providing package solution such as PHP Hosting, E-Commerce Hosting, Java Hosting, Shopping cart hosting, .NET Hosting etc. for attracting the client looking for reliable hosting for hosting their complex applications. These days PHP hosting is very popular because it of its low cost and no licensing cost of the software such as Linux OS, PHP & MySQL. Hosting companies also provides control panel such as Cpanel for easy management of hosting account, email address, MySQL database etc.. The control panel software helps the clients in managing their website very easily and efficiently. For example if have a website and you have to add email account, then you can login to your website control panel and create email account very easily. Let's learn the Web hosting concept in detail with the help of following web hosting tutorials. What is Web Hosting? Linux vs. Windows Hosting?. In this article we will explain you how a web hosting server works? In this article we will learn about different types of hosting services available these days. What is Domain Name? What is WHOIS Record? Why do you need a Domain Name? How to choose domain name for you or your company? What is Web Hosting Plan? Web hosting plan is the different plans provided by Hosting Companies for hosting your web site. Web hosting plans include the storage limit, bandwidth, access to server resources, database base access etc. for your web site. Different hosting plans are provided by the Web Hosting Service Providers to cater the different requirements. This section explains how to design your web site? This section explains how to upload your website? In this section you will learn how to submmit your site to major search engines. You will find the links of the major search engines where you can submmit your web site. List of Top 100 Search Engines. In this lesson will learn how you can setup Google Adsense Account for your web site and start earning money from your web site. In this lesson you will learn how you can boost your Adsense revenue. In this you will find the links of the software that you can use to Track Your Adsense Status. Top Web Developement Discussion Board. Post your questions, comments and queries, answer the user queries related to the web site developement.